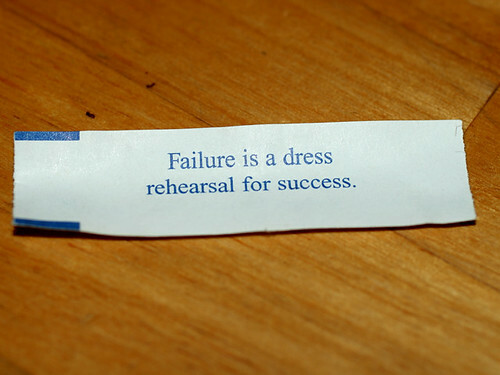 I knew I was in trouble when I received this fortune cookie with last week’s indulgence of Chinese take out. Chinese take out is bad for you and this week just proves it. Writing has long been my favorite form of therapy; and (unfortunately for my readers) I have readers. Otherwise, I would scribble this stuff down in a notebook and tuck it away in some dark corner. But paper notebooks don’t upload pictures, and I have pictures. I am reminded (by that annoying voice in my head) that every cloud has a silver lining. I am taking this post to review my most recent clouds and get busy looking for the linings. These are in no particular order, except the most depressing part at the end because I don’t want to give you bum-out whiplash. The name sounds like I’m talking about cartoon characters, doesn’t it? And these bulbous root growths I discovered when unearthing a tomato plant even look like something you’d see on Adult Swim. But, trust me, there is nothing funny about these little monsters! I thought the caterpillars were annoying, but they have nothing on these microscopic beasts. I was digging up the expired plants in my garden beds in preparation to infuse my soil with a nice helping of composted road apples (that’s horse manure to you city folk), when I discovered my worst gardening nightmare. 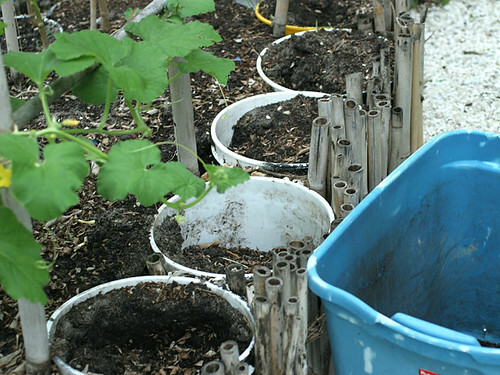 Up to this point my gardening woes have ranged somewhere between moderate annoyances and fascinating learning experiences. 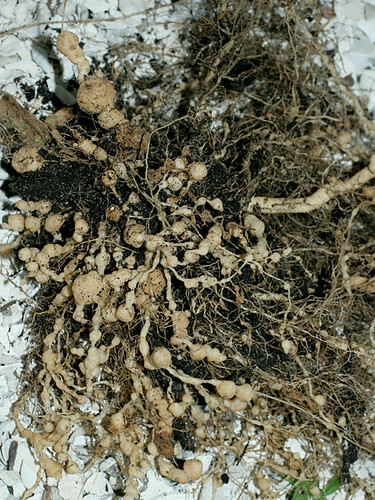 Mother Nature has upped the ante’ and bestowed upon me the wormy devils of the horticultural world: Root Knot Nematodes! I won’t bore you with the details of their biology, but if you are interested, you can go to The University of Florida IFAS Extension and learn all about them. “Why are these tiny roundworms such a scourge?” you might ask. Because there is nothing on the market to kill them. Right away I had a brainstorm and hopped online to see if it had been done. The idea was “Maybe I can cook these little suckers out of my soil with boiling water”. Lo and behold, this is the oldest treatment in the book, and one of the most effective. If one can saturate the soil with hot water, the nematodes will die. Manure also helps to deter them, but we’ll get to that in a moment. 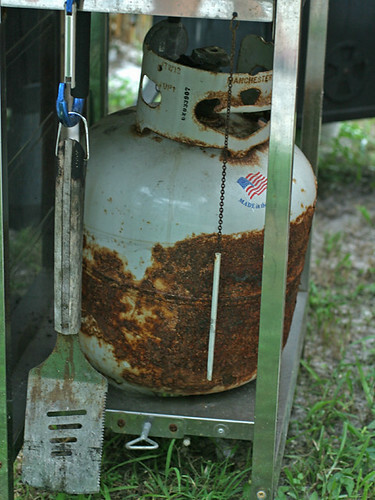 So, off I went to grab the propane boiler, which I set up next to the Oasis and prepared to douse my soil with boiling water. Since my garden is divided up into various containers, I figured that I could get a good kill on in the empty sections and boil off each adjacent area as the plants died off. This all seemed like a great idea until I went to get the propane tank. The fact that this rusty old tank is empty might actually be a silver lining, since AJ was certain it would rust through and blow us out of the park the next time it was lit. No picture needed for this one. Just look around you. If you don’t see horse manure, that’s what it looks like here, too. If you do see horse manure, please call me. I’ll be right over to pick it up! I’m sure that were you to consult my astral chart for this week you would discover that my planet of communication is transiting the house of the planet where chainsaw exhibitions and tractor pulls take place. I found a pile of horse manure for the taking by placing an ad on craigslist.org. Turns out it was available, but only if I could swoop in with a bobcat and get it without causing inconvenience to the owner. I made attempts to put together a horse manure party by organizing a group of people to come take it all at once. That didn’t work. Next, I suggested to the owner that Mike (my boss/friend/sometimes-nemesis) and I could come with two pickups and a trailer to get it. The email replies ceased at that time, so I guess the answer was “No”. I’ve suffered a week-long inability to communicate properly (especially in writing). I have managed to unintentionally confuse, piss-off and annoy a good handful of people, one result of which being that I have no free fertilizer for my garden. Literally. The space bar has broken and constantly gets stuck in the down position. This causes the cursor to run off faster than Karl Rove from a congressional subpoena. Once I chase it down and start backing up, I end up deleting some of the characters of the previous word. AJ tried to fix it by banging down real hard with his fist and then whacking the keyboard on the desk. I am officially starting a list of things that AJ can’t fix. So far, this is the first and only. 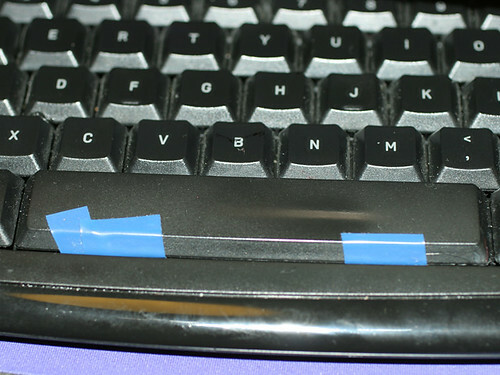 Taking a more creative (and less hostile) approach, I popped out the space bar and taped the little springy wire part back in place with some pretty blue electrical tape. Now the cursor only bolts every once in a while. The silver lining here is that it helps me self-edit by reminding me that every superfluous word brings me that much closer to the next unsolicited space. This one isn’t quite so bad. My amazing volunteer green pepper plants have been manufacturing some promisingly giant peppers. We have been watching and watering in anticipation of picking a bunch once they get really big and making a big batch of stuffed peppers. This morning we discovered that the branch holding these two could no longer do it; and had dropped them to the ground. The silver lining is easy to find on this one. 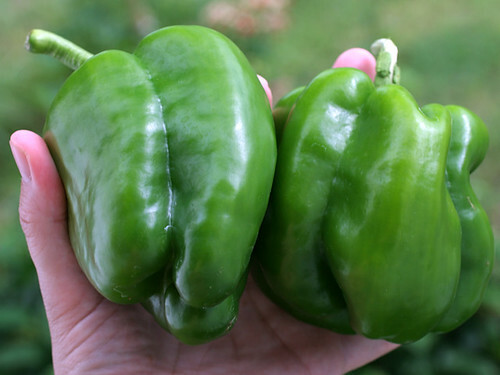 Two gorgeous, free, organic green peppers and many more maturing on the plants. Cloud #6: My Beloved Stepmother spent the weekend in the hospital. Judith went to the emergency room with edema and spent the weekend and all day Monday in the hospital. We have both discovered one silver lining on this one. She got a wake-up call that she needs to start taking oxygen and get back to using her CPAP machine for sleep apnea. Her heart is healthy and she can get better if she follows the doctor’s orders. She is also receiving some help at home. Still, this cloud is an especially dark one, since I live so far away and cannot afford to go up there when she needs me. She has always gone above and beyond the call of duty for a stepmother and I regret that I cannot repay her as I would like. No picture here either, for the above mentioned reason. My friend and creative inspiration, Doug Havens, has invited me to collaborate on a brilliant creative project, which I hope to reveal in a future post. For now, please take a look at his wonderful imagery at “What I saw” and writing at “Who I met” and try to forget about all of my doom and gloom.